Holy Potatoes! It’s On Switch! Things have come a long way since the first Holy Potatoes! was released in 2015 and Daylight Studios is not stopping. This year, the team is going to bring not one, not two, but three games of their Holy Potatoes! titles onto the Nintendo Switch. As to why the Potatoes are heading to the Nintendo Switch, we got to understand a little more about the Holy Potato world from Daylight Studios and the game’s producer, Faizan Abid. 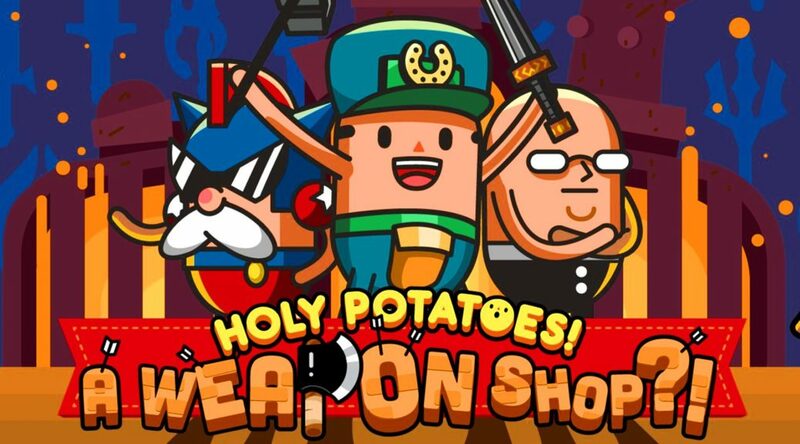 The first of the games that will be reaching the Nintendo Switch is Holy Potatoes! A Weapon Shop?! Holy Potatoes! A Weapon Shop?! 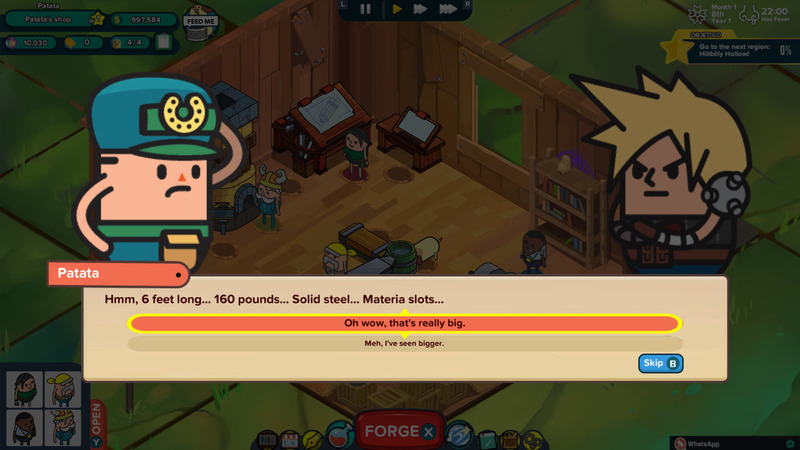 is a game that puts you in the shoes of a manager of a Weapons-smith. You have to procure material, make the finest weapons, and sell them to prospective customers as you work your way to be the best. Interestingly, the Potatoes did not always start off with the Potatoes. The team knew they wanted to do a weapon shop simulation, but the art direction was largely unsettled. A whole slew of styles, including pixel art was pondered upon until the cool looking potato-like humanoids stuck with the group. The trip to the Switch was not always apparent from the start. In fact, the idea to bring the game to the Switch only started at games con last year. During the event, the Studio was approached by two representatives of Rising Star Games that demonstrated such passion for the games that the Studio convinced to bring the game onto consoles. With Unity support on the Switch and Nintendo’s newfound openness to Indie developers, Holy Potatoes became a technical and financial possibility on the Switch. Still, things were not as easy as it seems. Holy Potatoes! A Weapon Shop?! Which was initially developed for the PC and Mobile platforms required a control scheme that made sense on the Switch. That is why A Weapon Shop did not have any shortage of control schemes on the Switch. 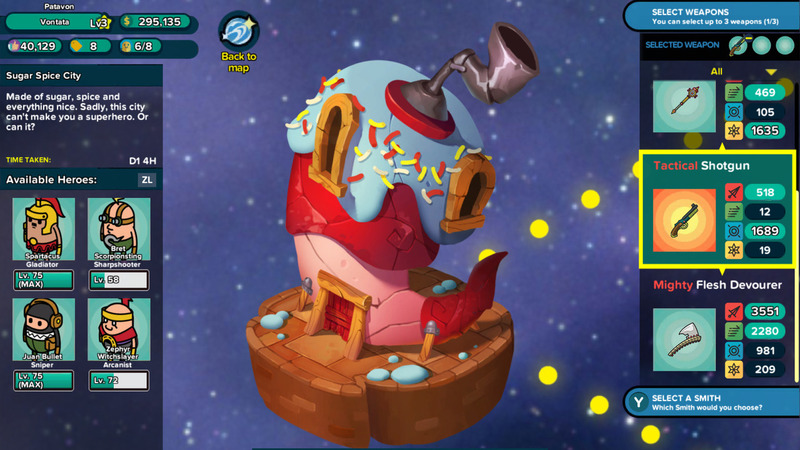 The Switch version of the game actually provides players with three ways to control their game, a D-Pad mode, a Cursor mode, and Touchscreen controls. The three control methods allow players to choose the most intuitive form of control. Still, that was not all. 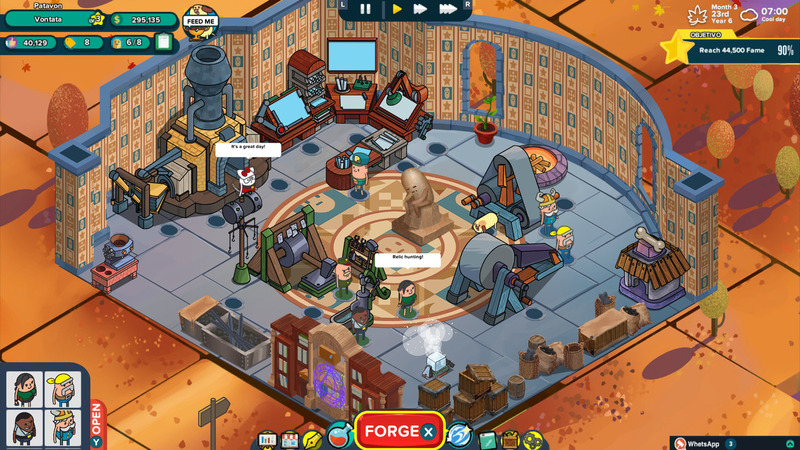 The team had to work on improving the UI and game management to enhance the quality of life for the game on consoles. With the Switch, the team hopes to reach more players, especially players who play exclusively on Consoles. Holy Potatoes! A Weapon Shop?! Launches today for the Nintendo Switch eShop but daylight Studios hope to put two more Holy Potatoes! Game onto the switch by the end of summer. The roguelite, space management game, Holy Potatoes! We’re In Space? !, as well as, the hell-themed management simulator, Holy Potatoes! What the Hell? !, are both planned for the console. “I think the game is very suitable for the Switch. It’s very colourful, very cartoony,” Faizan said. The Studio is also hoping to bring the three games onto physical copies although, nothing is confirmed at the moment.